With prices of gold-increasing daily, goldsmiths are shifting their focus to silver jewellery. Keeping this in mind, Shafiq Gold & Art introduced their new brand, Chandi, which focuses on silver pieces. Fahad Tahir, the owner and designer of both the-brands explains, “We have been involved in making gold jewellery for the last 50 years, but due to the ever-increasing prices of gold, at the local and international level, we decided to switch it up and experiment with silver. The collection, which was showcased at Raintree Spa on Friday, includes traditional pieces with giant stones studded in rings, earrings-and-pendants. “Big stones are in fashion. However, we’ve only used semi-precious stones like tourmaline, mother of pearl and opal,” states Tahir. Sticking to their trademark style which largely embodies flowers, Tahir ensured that the new collection incorporates-emblems of flowers etched into the majority of the pieces. “The flowers have always been an emblem of our enterprise, hence you see them in many of these designs,” says Tahir, while adding that he hopes to bring in something different as far as the designing of silver ornaments is concerned. 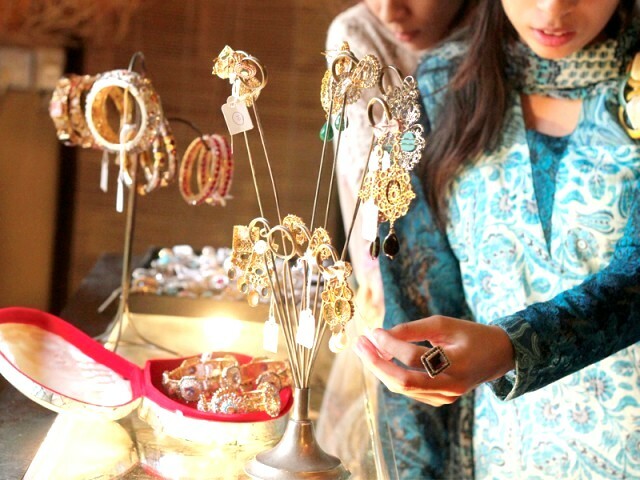 Meanwhile, his wife Urooj Fahad, who is also the brand manager of Chandi, confirmed that 100 per cent sterling silver was used in the making of the product. 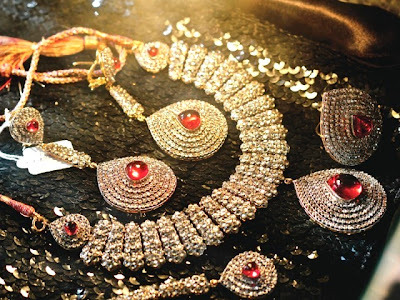 The prices of the pieces vary with a bridal set costing Rs66,000 a chain and pendant-ranging between Rs10,000 and Rs25,000. The rings are priced between Rs4,000 and Rs 18,000. Justifying the high price tag attached to certain articles, Tahir explains, “Some of the polki work that we have done is expensive; this is reflected in the cost.